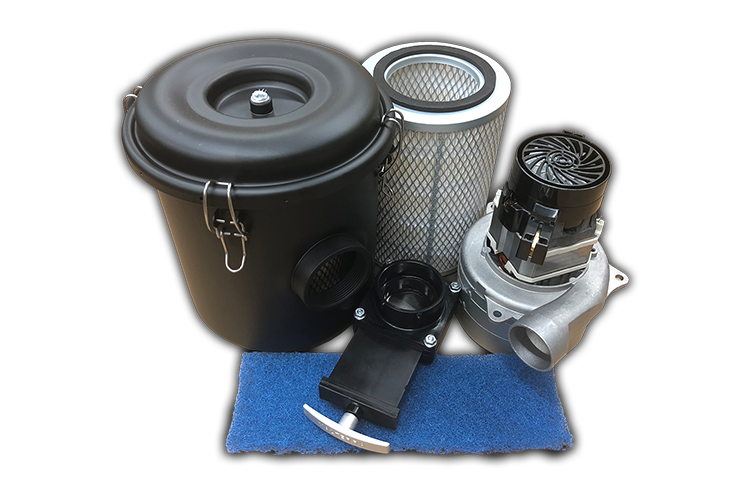 Black Box Vacuum Solutions provides industrial quality single phase vacuum systems designed specifically for CNC router hold down applications. They are as powerful as comparable three phase systems for a fraction of the cost. You don’t need three-phase power or an expensive phase converter. All of our vacuum pumps are proudly made in the USA. All of our vacuum system housings begin with high grade steel that is precision cut by CNC technology, professionally welded, and powder-coated in Georgia, USA to provide a rugged, long-lasting housing. Great products start from a great foundation. The Hurricane Vacuum pump offers powerful vacuum hold down for full size CNC routers. This single phase vacuum system gives customers without three phase power the same hold down capability as larger, more expensive three phase systems at a fraction of the cost. 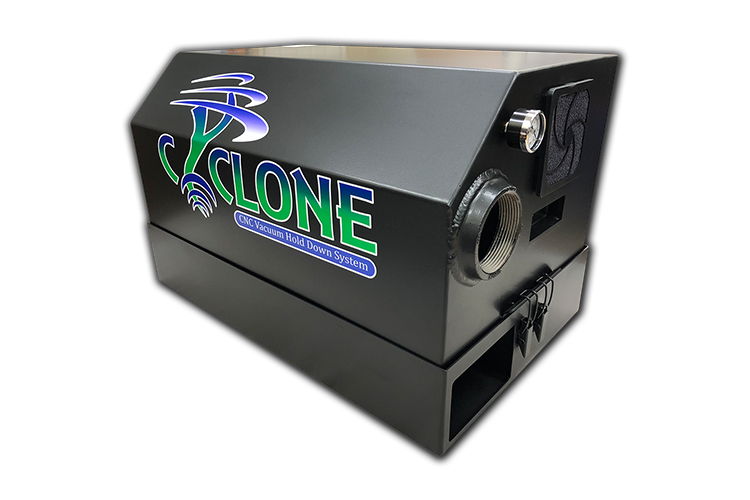 Black Box Vacuum Solutions is proud to introduce our latest vacuum pump: The Cyclone. The Cyclone is ideal for small to midsized CNC routers. 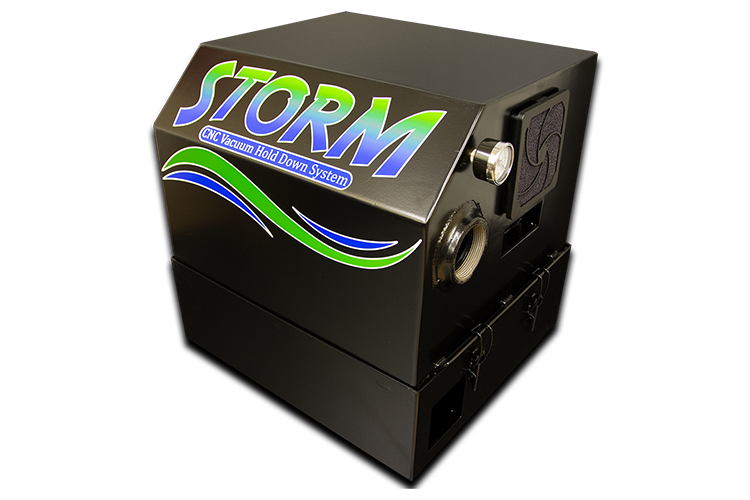 Black Box Vacuum Solutions is excited to offer our most compact vacuum pump: The Storm. The Storm is ideal for small CNC routers. Compare our systems with others. 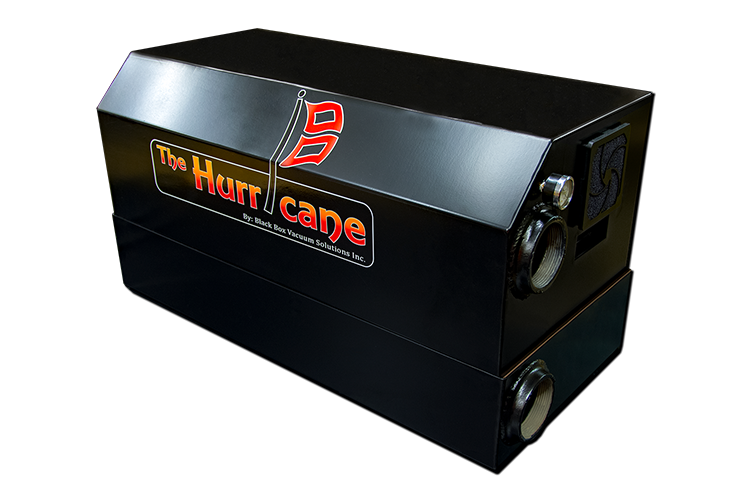 After much effort in development and testing we finally came up with the solution: The first Black Box Vacuum, The Hurricane. Since that time, we’ve continuously developed and improved our products allowing us to be able to offer three systems that cover a wide range of table sizes. All Black Box vacuum pumps use high performance motors suited perfectly for vacuum hold down conditions. They require only 220v single-phase power. They also cost up to 3x less than comparable three-phase systems. We think we’ve built the ideal single phase system for vacuum hold down. See which model fits you best. Are you in need of a powerful single phase vacuum system to pair with your CNC routers and interested in becoming a distributor? Black Box Vacuum Solutions Inc.